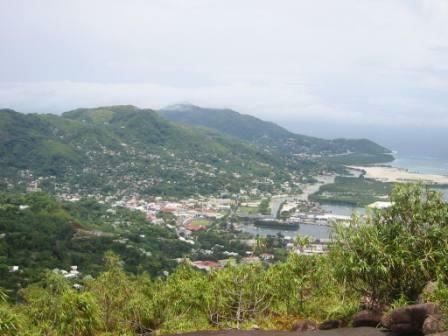 During the last 25 years, rapid development has taken place on the granitic islands of Seychelles, thereby intensifying the assault on the remaining wild and forested land. There is a forever increasing need for more land to meet the basic needs of the local population and tourists (tourism is one of the mainstays of the Seychelles economy). Although island plant populations are often naturally small or restricted in distribution, human development disturbs habitats and may result in whole populations of a species disappearing. Consequently a species becomes restricted, e.g. to one small island, or to steep or rocky places where no development is possible. In this way populations become even more fragmented than before and may become genetically isolated and less able to cope with further stress. The fewer, the smaller and the more restricted the populations get, the higher the probability for extinction. To make matters worse some of the endemic species were also collected and used for various purposes e.g. as medicine and in the construction and craft industries. The unchecked exploitation of these resources has led to the probable extinction of certain species, for example Bwa marmay (Bakerella), and has driven many others to the very brink of it.